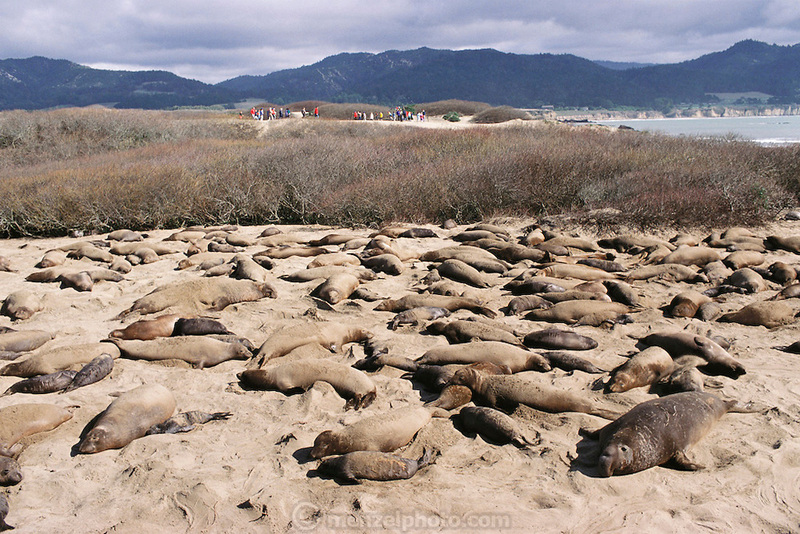 (1992) Elephant seals at Ano Nuevo State Reserve in California. Skin samples are collected for the Dr. B. Leboef study to determine if high social dominance is correlated to reproductive success and if the proportion of copulations a male obtains is proportional to the number of offspring sired. DNA Fingerprinting..